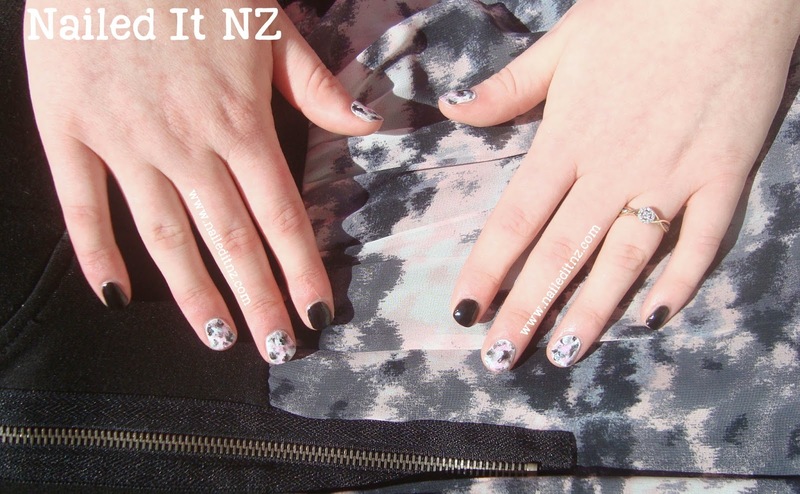 Every few weeks, I do my flatmate Michaela's nails. I normally just put a photo of them on Facebook or Instagram, but recently I realised the pictures were starting to stack up, and I might as well make a blog post out of them. So here they are! Some date back to Christmas (betcha can't guess which ones they are) while others are only a week old. First up I have some nails I did when she got engaged - this was only about a month ago, and I'm going to be a bridesmaid so it's still pretty new and exciting ☺. 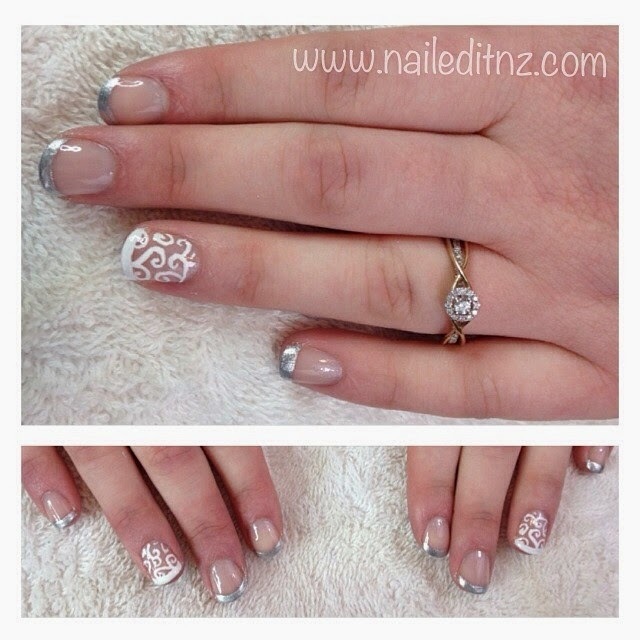 I think these would make nice wedding nails, too - simple but a little bit special too! These next ones were done around Christmas time, and are based off my Christmas tree nail art tutorial. I love these trees! Michaela and I have very similar looking cats (although they hate each other) so we painted her cat, Lewy, on her nails, along with a blue-white gradient. Kind of cute! And lastly, here are some nails I painted to match her dress last weekend. She actually ended up wearing a different dress but they matched the other one perfectly too ☺. I'll be doing a nail school diaries update this weekend - I've got too much going on and feel like I've been slacking so much with my blog! It's been pretty fun though, lately - my whole life is nails! Let me know which of these designs is your favourite! 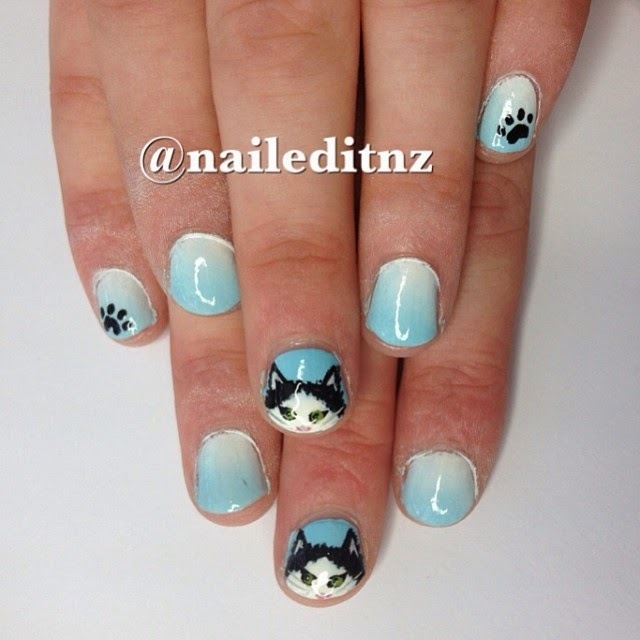 Some great manis you did!